5-in-1 Spray Water conditioner is a multi-purpose water conditioner for spray applications. 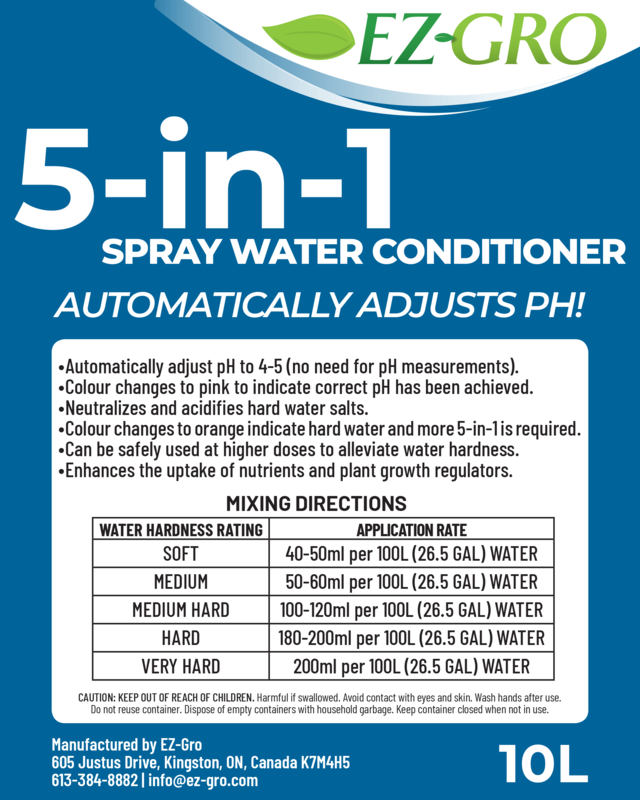 It automatically adjusts the pH of water to 4-5 and eliminates the need for pH adjustments. The colour changes to pink or orange, with pink indicating correct pH has been achieved and orange indicating more 5-in-1 is needed. It also neutralizes and acidifies hard water salts. It can be safely used as higher does to alleviate water hardness and stubborn pH buffering. When used correctly it can enhance the uptake of nutrients and plant growth regulators.